You are currently browsing the tag archive for the ‘teens’ tag. But I thought it would be fun to list just a few today, a taste, as it were, of beloved books that come to mind. There are more, but those will have to come another day! For the first five years set, Goodnight, Gorilla and Officer Buckle and Gloria by Peggy Rathman make great read-alouds. I also love Bark, George by Jules Feiffer and Old Mikamba Had a Farm by Rachel Isadora. This last one is a riff on the “Old MacDonald” song, and it was a hit at our Día de los Niños celebration! For upper-elementary kids, one perennial classic that I simply adore is Harriet the Spy by Louise Fitzhugh. I love the fact that even though this book is 50 years old, its themes of friendship, secrets, and betrayal continues to appeal to children today. For this age group, one of my favorite newer fantasy series to recommend is the Wildwood series by Colin Meloy. Set in Portland and its adjacent (fictional) “Impassable Wilderness,” this book captured my heart with its refusal to follow any set stereotypes about heroic characters. For young teens, I love Counting by Sevens by Holly Goldberg Sloan, in which the voice of the main character immediately engages the reader into wanting to know what will be the fate of this unique teen. A creepy (but in an awesome way) book that I loved was The Riverman by Aaron Starmer, which is a haunting exploration of coming of age among children just on the cusp of their teen years, with a strong fantasy theme that interplays very well with what it means to come of age. And last but not least, in this age of Hunger Games and Divergent, one series that I always recommend to all teens – old and young – craving more post-apocalyptic dystopian excitement is the Uglies series by Scott Westerfeld, which, with its intrepid female lead characters really gives those other books a run for their money! So, for today, these are a few of my favorite go-to Children’s and Teen books. What are some of yours? Magic is real. Magic is dangerous. It is so dangerous, in fact, that it was outlawed a couple of generations ago – in fact, the “magic genes” were removed from any and all families that were known carriers, including Maggie’s own grandmother and her descendants. In Newworld, where Maggie lives, magic is thought to cause cobeys, slang for “cohesion breaks,” which are huge rips in the universe which threaten the existence of the whole planet, from Newworld to Farworld and everything in between. Maggie’s stepfather bugs her. Something is way off about him, not just because he is from Oldworld, where magic is actually not only allowed – it is used as a tool to fight cobeys. And it’s not just his odd looks, or accent, nor is it his distinctly weird clothing. It’s the SHADOWS that accompany him everywhere, shadows which it seems only Maggie can see. From the very first time she meets him, she sees “…something freaky about the shadow of his arm against the wall—a sudden sharp ragged line along the line of his forearm…” Soon these shadows seem to be trying to follow and communicate with her, and she is totally freaked out. Maggie tries to find solace in the company of her dog Mongo and her part time job at the local animal shelter, and also in her friends Jill and Taks. And there is her origami – a long time ago, Taks taught Maggie how to make kami—origami creatures which are kind of a good luck charm to ward off evil. Although Maggie resolutely doesn’t believe in magic, making kami to ward off Val’s dark creepy shadows can’t hurt, can it? Lately, though, it seems that things are getting worse and worse. Maggie has a bad feeling that is only heightened when the first cobey in years opens up in a nearby town. Somehow, she thinks Val may have something to do with all this bad mojo. Maybe he’s brought illegal magic with him. And now there are all these anti-Cobey army units, which also bring bad vibes. Mixed in with all this bad stuff there’s the welcome distraction of the super-handsome college student Casimir… but he too comes from old world, and seems to think that only magic can help with cobeys. What is right? Who is right? What are those strange sentient shadows that wriggle and wave to Maggie from over Val’s shoulder? What are they trying to tell her? What will happen to her world if cobeys rip it apart? Could it be possible that the anti-cobey patrol units end up causing more harm than good? 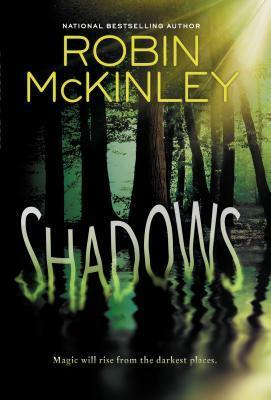 Read Robin McKinley’s Shadows to learn all this and more. Except for the romantic bits closer to the end, of course. Ahem. Ms. Olga Nesi is a dynamic middle school librarian who speaks of appeal terms and book hooks with a gleam in her eye. Not only is her library well-loved and her books constantly in demand, not only does she seem to know every child in her school by name, but she has found the Holy Grail of librarianship — she has devised an active way to put Readers’ Advisory principles into practice to help her kids find books they will love. Of course after I heard about her (and read her stellar article on the topic in School Library Journal) I just had to meet her! So, this past Wednesday found me on a Brooklyn bus, very early in the morning, clutching my rapidly cooling coffee and on my way to Cavallaro Middle School. Upon arrival, Ms. Nesi woke me up in a way that coffee could not: we immediately got down to talking about how she conducts Readers’ Advisory in a busy school of 1400+ kids who often barely have 20 minutes to spend browsing for books. Here’s what she does. When you first walk into the library, your attention is arrested by two huge posters on which she has blown up simple lists of appeal terms from Joyce Saricks‘ book, Readers’ Advisory Service in the Public Library. Listed under headings like Tone, Pacing, and Story-line are lists of adjectives that describe a myriad different types of tastes. 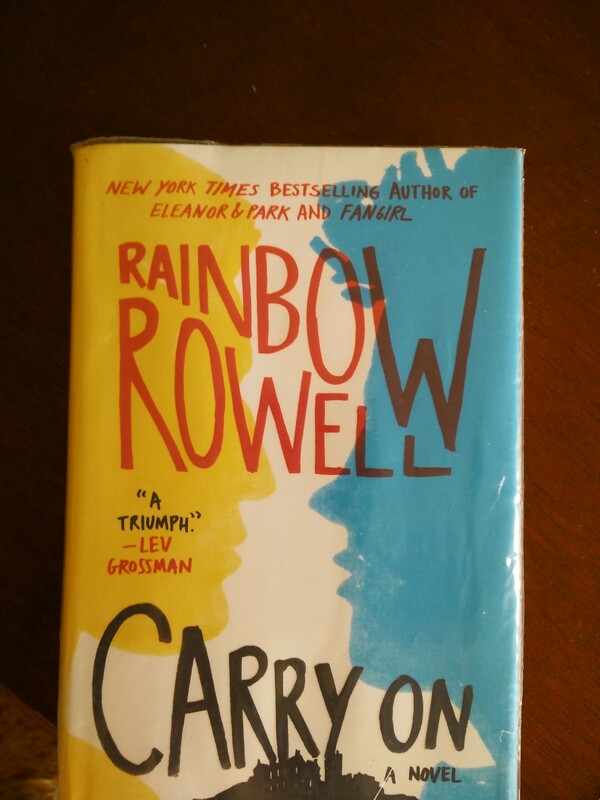 Words and phrases such as “dark,” “bittersweet,” “humorous,” “action oriented,” “engrossing,” “magical,” and “lesiurely” catch the reader’s eye. When I remarked on the posters, Ms. Nesi explained that they serve several purposes. First, they are there to remind students of terms that they have already learned — from Ms. Nesi and in their English classes. They silently reinforce previously learned knowledge in a way that no long-winded lecture can. Secondly, when students come to Ms. Nesi for reading recommendations, she can stand with them in front of the posters and, with the appeal terms right there, can have a conversation about what they are in the mood to read. In fact, she also has printed them on bookmarks, so that kids can check off what about their reading material appeals to them, making explicit what is often a mute, internal proces. Simple, but genius.